Nowadays, online shopping is a practical way to save time and meet one’s needs in a comfortable way. Amazon.com, as a pioneer, started to recognize the potential of the internet as a distribution channel in 1994. Since then, a few changes occurred, as developing countries like China started to dominate the global economy. Alibaba Group, a Chinese electronic commerce (e-commerce) enterprise, emphasized China’s economic impact in an impressive way. In 2014, Forbes reported Alibaba’s initial public offering (IPO) on the Ney York Stock Exchange (NYSE) as, so far, the biggest one in history of the NYSE (Mac, 2013). According to the annual reports, the revenues of Alibaba for 2015 amounted approximately 12.3 billion US dollars. However, Amazon.com’s revenue was about 107 billion US dollars in the same year. In fact, considering other big names in the sphere of e-commerce, Ebay’s revenue for 2015 was about 8.6 billion US dollars. So, Alibaba is becoming a serious competitor for multinational enterprises like Amazon.com and Ebay. RQ: How can opportunities and barriers of using a Chinese online shop on the German market be identified from a consumer ’spoint ofview? The process of the study is structured in seven chapters. After the introduction, the second chapter will define the basic knowledge about e-commerce, strategies and markets and will also reflect on the state of the art with respect to the use of foreign online shops on the German market. 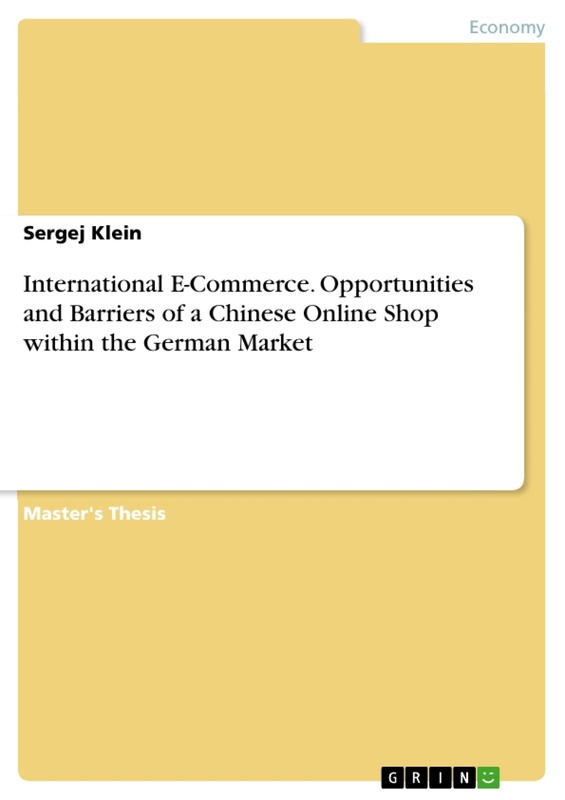 The third chapter will provide possible exploratory approaches that depict online consumer behavior in foreign online shops and identifies eight concepts that may influence the use of a Chinese online shop. In the fourth chapter, hypotheses will be generated on the basis of the previous theoretical concepts. The methodology, which includes the description of the model, the used method and the data processing, will be introduced in the fifth chapter. In chapter six, the general results of the descriptive statistics as well as the estimation of the PLS- SEM approach will be presented. Finally, the seventh chapter will discuss the results and will derive appropriate options for action and will furthermore draw a conclusion for the thesis. The purpose of this chapter is to give basic information about the topic of international e- commerce. Therefore chapter 2.1 deals with definitions that are fundamental for the combination of international e-commerce and online consumer behavior. 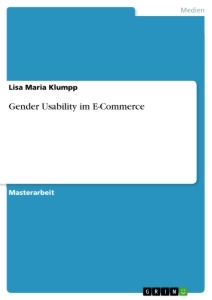 Then, chapter 2.2 gives information about value creation and strategies in e-commerce. Chapter 2.3 describes relevant market strategies for e-commerce. 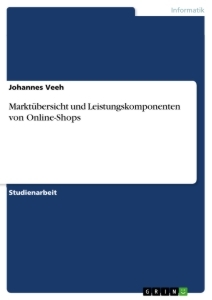 Finally, chapter 2.4 demonstrates the state of the art regarding the use of foreign online shops. 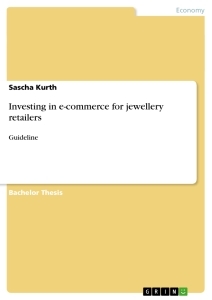 The most important component of this thesis is the term international e-commerce. In general, e-commerce transactions can be defined as “the sale or purchase of goods or services, conducted over computer networks by methods specifically designed for the purpose of receiving or placing of orders” (OECD, 2011). Chaffey (2014:13) defines e-commerce as “all electronically mediated information exchanges between an organization and its stakeholders”. A common occurrence in e-commerce literature is the mix-up of definitions between e-commerce and e­business. E-business is the umbrella term for all kind of organizational transactions with the help of the internet. E-commerce is a part of e-business and explains the commercial exchanges between enterprise and consumer (B2C) or other enterprises (B2B) (Kollmann, 2013). For the term international e-commerce there is no substantial definition in the literature. Therefore, the definition of the OECD can be specified by adding the cross-border activity. So, international e-commerce represents the cross-border purchases that are made in another country by using the internet as well as sales that are delivered from a company to a consumer from a foreign country. As the thesis investigates online consumer behavior, consumer behavior needs to be defined. Generally, consumer behavior can be identified as “the behavior that consumers display in searching for, purchasing, using, evaluating and disposing of products and services that they expect will satisfy their needs” (Schiffman & Kanuk, 2010: 23). Pavlou and Fygenson (2006) determine online consumer behavior based on two components, the online search for product characteristics and the purchase of products and services via the internet. The creation of value is one of the major components of e-business models. The value creation logic defines the creation of value throughout certain processes within a company. In basic terms, value creation concepts are the preliminary step before creating corporate strategies. Regarding the dotcom crisis, many enterprises ignored the fundamental economic concepts of value creation concepts in connection with strategic planning (Jelassi & Enders, 2005). An enterprise can create or add value by engaging in production. Such value is created by taking inputs and converting them into outputs with the purpose of gaining maximum profit (Dunning & Lundan, 2008). In related literature, Michael Porter’s concept of the value chain is the most famous and established one. He defines a model for the industry level, where he describes key activities of a company that can add value to products or/and services directed to the customer (Porter, 1980). Porter’s classic value chain framework was modified by himself with the addition of the internet use in 2001. Figure 1 presents how internet enables connecting the value chain activities with special tools, such as customer relationship management and supply chain management, and links the value chain activities with the whole value chain system in an entire branch or industry (Porter, 2001). The advantage of the internet emerges as the opportunity to connect the value chain activities from end to end and the several value chains with each other by the help of real­time data. So, the internal and external participants of the value creation process, like suppliers and customers, can be linked and integrated in multiple channels (ibid.). The evolving information technologies and the constantly changing customer needs lead to the assumption that established business models are dynamically changing. New models and especially new markets will arise on the long term, with the goal to develop and secure competitive advantages (Schneider, 2011). This dynamic corporate development is also driven by strategic decisions as described in the next subsection. One of the key figures of e-commerce, as well as of traditional business, is an individual corporate strategy and value creation. First, it needs to be clarified what exactly a strategy means for a company. In general, a business strategy is a combination of methods to achieve maximum profit within competition over the long term. Johnson, Scholes and Whittington (2008) have figured out six aspects to define a strategy concept: long-term corporate goals, general plan to expand firms’ resources, ability for differentiation, unique market positioning, sustainable competitive advantage and the values and expectations of stakeholders. Johnson et al. (2008) also describe three different levels of corporate strategies especially for multinational enterprises: business unit strategy, operational strategies and functional strategies. The first two levels describe how a company can be successfully competitive in a market and how the business strategies can be successfully operationalized. In order to develop an e-commerce structure, the functional strategy plays a major role (ibid.). Since companies differ from one another, there is no general strategy for e- commerce companies. Thus a specific and appropriate strategy needs to be discussed for each company individually. Nevertheless, considering the topic-related literature, a tendency towards functional strategies can be recognized. For example, a specified e-commerce strategy can be included within a marketing or logistics strategy or be part of the strategic information systems (Lynch, 2000). The lacking integration of e-commerce strategies in the top level of corporate planning is one of the greatest risks when engaging in e-commerce activities. The worldwide leading e-commerce enterprises have the fact in common that e-commerce is a component of corporate strategy development (Johnson et al., 2008). Unfortunately, there is still limited research on how enterprises integrate e-commerce strategies into corporate existing strategies. Doherty and McAulay (2002) propose that it is crucial for corporate strategies to regulate e-commerce investments. These investments should then generate returning economic value (Doherty & McAulay, 2002). The first strategy is the price policy of an enterprise as one of the most important strategies that creates economic value (Laudon & Traver, 2015). There are several basic strategies creating a successful business like product differentiation, lower costs competition, scope, focusing on a market niche and a strong customer loyalty. These basic strategies can be adapted for the creation of e-commerce strategies. The opportunities for differentiation in e-commerce can be shown in the companies’ possibility to make the online shopping experience more personal and to customize the service for the unique demands of the customers (ibid.). Another possibility to differentiate products or services is to make their purchase available from all over the world, to increase their ubiquity (Chaffey, 2014). The second strategy is to find a possibility to outcompete competitors by offering products and services at a lower price. The potential to achieve a competitive cost advantage is to find exclusive resources or business processes that are not available for other firms on the market. In most cases the low-cost competition is a short-term strategy. Competitors can also copy or discover the same or similar efficiency advantages (Jelassi & Enders, 2005). In the case of e- commerce, the firm provides cost competition by lowering the costs for order entry. A worldwide uniform order system and personalized customer profiling are helping to achieve this goal (Laudon & Traver, 2015). Two further common strategies are scope and focus. The scope strategy implies a global corporate competition in all markets. The worldwide use of the internet enables the company to reach a global presence by leveraging the assistant processes for the business. The focus strategy aims to be competitive in a market segment or in a product segment. This strategy is a specialization strategy to become a market leader in a specific market niche. E-commerce provides several competences for a focus strategy. Rich and interactive content can be used to create a highly-focused message for a market segment. 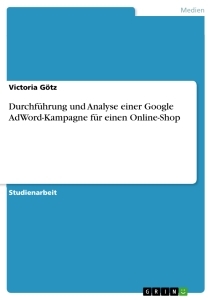 For example, the concentration of information can be used to customize the online shop features related to the specific market segments (Jelassi & Enders, 2005). Each industry has a different combination of forces that attract customers. Many industries are so big and serve broad sections of customers that make an analysis for a whole industry very difficult and extensive. In this case a market analysis needs to be more specific and has to split markets in smaller segments, which enhances a more efficient market segmentation and targeting (Jelassi & Enders, 2005). Market segmentation can be defined as “the process of grouping customers in markets with some heterogeneity into smaller, more similar or homogenous segments. The identification of target customer groups in which customers are aggregated into groups with similar requirements and buying characteristics.” (Dibb & Simkin, 2013:186). The segmentation of markets has two main reasons. Firstly, the understanding of customer needs and preferences is improved by market segmentation. With the information about the customer needs, the product can be shaped accurately including all the features, which differ from segment to segment. The better a company knows the needs and preferences of the customers, the more precisely it can decide which distribution channel to select (Schneider, 2011) The second reason for market segmenting is the knowledge about the size of the segment. Profound market segmentation increases the accuracy of the segment evaluation. The information about the size of the segment or the amount of the customers in a particular segment is crucial for the estimation of the returns of scale and the return on investment (Jelassi & Enders, 2005). Besides the two main reasons for market segmentation, there are several different ways to segment a market. Kotler (2000) found four main segmentation variables: geographic, demographic, psychographic and behavioral. The geographic segmentation separates markets into parts like cities, regions or nations. An enterprise can work in one geographical segment or use them all by adapting local features. The demographic segmentation has the most favored set of variables to analyze customer groups. It uses variables like gender, age, profession, education, family status, nationality, income and some more. On the basis of psychographic segmentation, an enterprise can identify the customer’s lifestyle, personality and values (Kotler, 2000). In the context of e-commerce, Strauss and Frost (2014) found out that many consumers in the psychographic segments, especially the ones that have a great income but little time to spend it, tend more to shop online. The reason is that they would rather engage more in their social activities and hobbies than to go shopping in a store (Strauss & Frost, 2014). The behavioral segments include consumers that can be divided into groups based on their knowledge about and their attitude towards the product or the brand. Usage occasions and the usage rate also play a role in behavioral segmenting. For many marketers, the behavioral variables are the most important ones to start segmenting the market (Kotler, 2000). Based on Kotler’s (2000) framework, there are a few more aspects to mention about the geographic, demographic, psychographic and behavioral segmentation and e-markets. The internet makes it easier for marketers to collect and analyze customer shopping behavior compared to off-line market data (Kotler, 2000). The market segmentation in the internet gives enterprises the opportunity to create several online segments with different customer environments. In particular, the one-to-one marketing approach makes it possible to create a customized online environment for an individual customer. For example, Dell has been one of the pioneers in the field of customized online interactions and targeting online segments (Schneider, 2011). Once the markets are divided into specific segments, the company faces the challenge to develop a strategy for targeting all specific segments. The decision is based on two main factors: the segment attractiveness and the ability of the company to compete successfully in the respective market segment. Kotler (2000) determines five main possibilities to target a market segment: single-segment concentration, selective specialization, product specialization, market specialization and full market coverage (Kotler, 2000). In the case of an enterprise engaging in international e-commerce, the most significant targeting possibility is the full market coverage, which requires a wide range of products for all customer groups. Often, only large multinational enterprises (MNEs) can serve a whole market (Kotler, 2000). Amazon.com is a good example for a full market provider. As Chinese e-commerce is catching up quickly, Aliexpress.com is the Chinese counterpart for Amazon.com. of buying in a foreign online shop is a more favorable price compared to the home market, followed by the advantages of buying products (56%) and brands (43%) that are not available in Germany (see Figure 3). Also, 36% of the respondents of the study stated a wider range of products as an advantage to use a foreign online shop (PwC, 2016). Basically, the eBay (2012) study displays that the relevance of purchasing abroad has gained importance. Already 60% of the interviewees have at least once made a purchase in a foreign online shop (eBay, 2012). But, by looking at the frequency of cross-border online purchases, there is still room for growth. The European Commissions' Consumer Conditions Scoreboard found out that between 2008 and 2014 the percentage share of EU-28 consumers that made cross-border online purchases of products outside of the EU(measured for each year) only moved from 4% to 7% (European Commission, 2015). By comparing the mentioned studies above, it becomes clear that purchases abroad are quite capable of improvement whereas the focus of online shopping still lies on the domestic market. The obstacles for a more intensive use of the international online purchase still lead back to the lack of trust in the foreign sellers and in the uncertainties in the law regulation. According to the eBay (2012) and the PwC (2014) studies, the high shipping costs are a relevant factor for the fact that foreign purchases take place less often. Also, doubts about a not functioning revocation or the guarantee, the uncertainty about the payment procedure and the use of customer service are inhibition thresholds that complicate the cross-border purchase on the internet (eBay, 2012; PwC, 2014). Despite the great influence the internet has on enterprises and consumers, the scientific research is still at the very beginning. Thereby, the most common research focus lies on consumer behavior in the home market. Accordingly, there are only few studies which investigate the purchasing behavior of cross border online shoppers and the Chinese e-commerce enterprises that want to reach consumers outside of China. Because of Chinas immense e-commerce potential, most of the studies deal with the buying power of Chinese consumers and their engagement with western e-commerce companies. In contrast, there is a lack of theoretical and empirical research that discusses important market penetration strategies and the generation of sustainable competitive advantages for Chinese e-commerce companies in European markets. Therefore, this chapter describes explanatory approaches of consumer behavior, which are of interdisciplinary nature. Based on a reasonable and understandable selection, the approaches will be then transferred to the subject of using a cross-border online shop from China. Most of the research on the adoption and diffusion of e-commerce concentrates on the understanding of how e-commerce is an innovation and on the factors that drive e-commerce adoption or non-adoption (Boateng, Molla and Heeks, 2009). In his framework, Rogers (1995) examined the development of innovations in social systems and channels and among its members. As a technology adoption, e-commerce is driven by market conditions, either by the competitive pressure or by the opportunity of using new technologies and the search for new market applications. Technologies do not easily diffuse in industries. In general, different reasons are responsible for the increased use of new technologies. In the case of online shopping, the adoption process describes the way the customer learns about, tests and accepts (or rejects) the innovation of online shopping (ibid.). The innovation adoption process by Rogers (1995) is structured by five phases: awareness, interest, evaluation, trial and adoption. All phases describe a person’s interaction with an innovation as a dynamic process. With the introduction of information- and telecommunication systems (ICT) and the innovation of e- commerce, the phases of use and approval switch into the focus of research (ibid.). Based on Rogers ’ research, Kollmann (1998) developed the adoption theory to an acceptance theory with the following phases: acceptance attitude, action acceptance and use acceptance. In his research on e-commerce development among automobile buyers, Betz (2003) established an acceptance model. The automotive industry is one of the possible levels to do research on e- commerce adoption or acceptance. Other important levels of e-commerce diffusion research are at the country level (Chen & Ning, 2002) and the firm level (Martinsons, 2002). The characteristics of the adopters of e-commerce are of different expressions. The differences do not only occur on the country level. For example, adopters of online shopping can be a homogenous group across countries or a heterogeneous group in their home country. Adopters can be categorized by cultural differences, such as language and attitude towards buying foreign country products. They can also be categorized into homogenous cross-border groups with characteristics like explorative online behavior. Rogers (1995) groups the adopters due to their innovativeness and willingness to test new products. He identifies five ideal types of adopters: innovators, early adopters, early majority, late majority and the laggards. Thereby, the innovators, the type of people with the highest degree of innovativeness, are by far the smallest group. The biggest groups are the early and late majority. The laggards represent the group of people that adopts innovations last (Rogers, 1995). 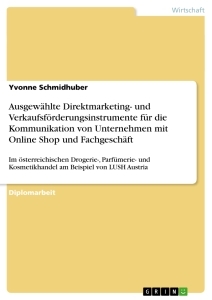 According to the facts mentioned in chapter 2.4 about online shoppers in the German market , the share of German online shoppers that buy in a foreign online shop can be allocated within the early adopters. Kotler and Bliemel (2001) depict the type of early adopters as people that “are guided by their desire respect. In their social environment, they are often opinion leaders and adopt innovative ideas early, but with caution” (Kotler & Bliemel, 2001: 263). The above mentioned innovativeness cannot be used as a transferable personal characteristic of consumers, because of the difference between the used product categories. A person can be an innovator in the category of electronic products, but a laggard in the clothing category (Kotler & Bliemel, 2001). Therefore, the research on early adoption of online shopping (additionally) concentrates on other essential variables, like higher education, income and social status. Trocchia and Janda (2000) argue that older consumers are more reluctant to shop online because of obstacles such as lack of experience, resistance to change and the desire to try out the product before buying (Trocchia & Janda, 2000). The study of Chau and Hu (2002) discusses the influence of income on the behaviour towards information systems. Higher income may result in a higher demand for online purchases and decrease the perceived risk. Lower income may increase the perceived risk and inhibit the purchase decision due to financial loss (Chau & Hu, 2002). In contrast, in their study on Spanish online shoppers, Hernandez, Jimenez and Martin (2011) found no significant relationship between socio­demographic variables (age, gender and income) and online shopping adoption. They claim that purchasing and repurchasing decisions depend more on the online experience and the attitude towards the repetitive use of e-commerce and a highly frequent use of the internet in general (Hernandez et al., 2011). Other studies concentrate more on the internet-specific innovativeness as having a moderating effect on the online purchase decision. 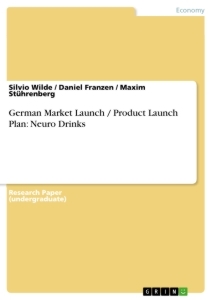 Blake, Neuendorf and Valdiserri (2003) proved a positive effect of the internet-specific innovativeness on the decision of buying products online in their research (Blake et al., 2003). - The socio-demographic variables and their effect on the usage intention of online shopping seem to be less relevant for the research of this thesis. - Income does not seem to be relevant for the research of online purchase. But perceived risk seems to be an important aspect which needs to be explained more detailed. - Online experience and a high frequency of internet use are assumed to be crucial characteristics to engage in online shopping. In fact, most of the research in the field of e-commerce and consumer behavior is attributable to the Technology Acceptance Model (TAM). The TAM is based on the Theory of Reasoned Action (TRA) and the Theory of Planned Behavior (TPB)1 by Ajzen and Fischbein, (1980, 1985) and explains and predicts the acceptance of information technologies in an organizational context (Davis, 1986). The TRA delivers basic constructs, like the attitude towards using, the behavioral intention to use and the actual use. The mediating variable is the attitude towards using an information technology which is determined by two main latent variables. On the one hand, there is the perceived usefulness which is defined as “the degree to which a person believes that using a particular system would enhance his or herjob performance” (Davis, 1989: 320). Thereby, Davis (1989) assumes that besides the influence on the attitude towards using, the perceived use has a direct influence on the behavioral intention to use. On the other hand, there is the second latent variable, which is the perceived ease of use that is defined as “the degree to which a person believes that using a particular system would be free of effort” (ibid.). As illustrated in Figure 4, both of the variables influence the attitude towards using and the perceived usefulness has a direct influence on the intention variable. In further research, Venkatesh and Davis (2000) emphasized that the perceived usefulness and the perceived ease of use could consistently explain almost 40% of the variance of the attitude towards using a new technology. They also exposed that the perceived use has a significantly higher impact on the attitude towards using (Venkatesh & Davis, 2000). In his research, Parsons (2002) examined variables related to perceived usefulness like motives with a non-functional attitude. - The TAM is convenient as a basis to examine the relationships between perceived use, which can be also seen as advantages and motivations (functional and non-functional), towards the attitude of using online shopping. - With regard to the findings in the research on the perceived ease of use, this variable seems to be less important for explaining the attitude towards using e-commerce. - There seems to be a relevant relationship of cross-border indicators that influence online shopping behavior. The cross-country differences may have an effect on online purchasing behavior in foreign online shops and will be explained in more detail. - The attitude towards using a foreign online shop will be investigated as a meditative variable. As presented in chapter 2.4, the decision for online purchases in a foreign online shop does not only imply advantages but also involves taking possible risks. In their research, Dowling and Staelin (1994) defined the theory of perceived risk as “the consumer’s perceptions of the uncertainty and adverse consequences of buying a product or service” (Dowling & Staelin, 1994: 119). The research on perceived risk has developed due to the appearance of new technologies and can differ regarding individual relationships and situations, like using the internet to buy products and services (Tan, 1999). Early research on perceived risk in different shopping channels has shown that buyers tend to have a higher risk perception through purchasing products in a non-store shopping environment (Akaah & Korgaonkar, 1988). This behavior occurs when consumers are not able to physically inspect products before buying or they feel uncomfortable about buying from an “absent” sales person or a retailer (Darian, 1987). Most of the recent studies did not specify the type of risk that affected the purchasing attitude or did not even take it into their investigation. Even though risk is not only of importance for purchasing behavior, the research on risk is also crucial for firms that should define and understand risk producing factors and provide information to eliminate or reduce these risk factors (Schiffman et al., 2008). The research by Bhatnagar, Sanjog and Raghav (2000) showed two types of risk in online shopping. First, the product category risk was identified as a lack of performance of a product and can be connected to a negative awareness of a products’ quality. The study implied that products of a more complex technology level or a higher price had a higher risk perception. Second, the financial risk included the fear of losing money. Namely by receiving a non-functioning product or not receiving a product at all or losing personal payment information when purchasing a product online (Bhatnagar et al., 2000). In addition to the research on perceived risk, the cross-border perspectives of taking risks by purchasing a product in a foreign online shop need to be taken into account. The cross-cultural influence on consumer behavior is considered one of the most influential factors in research on international marketing. In his research on cross-cultural differences in consumer behavior, Hofstede (1991) identified four dimensions of cultural influence: power distance, uncertainty avoidance, individualism/collectivism and masculinity/femininity. He pointed out that uncertainty avoidance had the strongest impact on perceived risk because this dimension reflects the tolerance/intolerance of the uncertainty of a culture. For example, a culture with a high uncertainty avoidance level would tend to be less risk-taking because their motivations are affected by fear of failure or loss (Hofstede, 1991). Based on Hofstede’s uncertainty avoidance dimension, a study by Ko et al. (2004) investigated the cultural differences in perceived risk between US and South Korean online shoppers. Their results show only a slight difference between the US and South Korea, whereby the perceived risk of the South Korean online shoppers were explained with a higher level of social risk, whereas the perceived risk of US American online shoppers comes from a higher level of financial risk. Therefore, the American users tend to fear the loss of money and time, while the Koreans care more about the opinion of family members and other members of their social groups about their purchasing decision. The consumers from both countries had one insight in particular: a significant high level of perceived risk in relation to performance risk, which implies the fear of receiving a non­functional product or a product of much worse quality than expected (Ko et al., 2004). Besides the product related-risks, Schroeder and Zaharia (2008) identified the delivery-related and the payment-related risks. 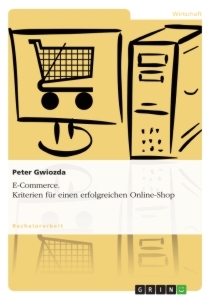 In their study on multi-channel consumer behavior of a German retailer, they found a significant negative relationship between delivery- and payment-related risks and the purchasing decisions of customers in the online shop (Schroeder & Zaharia, 2008). - The importance of perceived risk of buying in a foreign online shop needs to be analyzed by the same means as the perceived use. - Perceived risks of buying products online will be connected to the possible risks of buying from a cross-border online shop. Compared to the research on perceived risk, the research on the Country-of-Origin (CoO) effects has been intensive for decades. The CoO effect can be defined as the influence of the country-of-origin of a product on consumers’ product evaluation and purchasing decision (Papadopolous, 1993). Other definitions go further and refer to CoO as “the country which a consumer associates a certain product or brand as being its source, regardless of where the product is actually produced” (Jaffe & Nebenzahl, 2006: 29). In the consumers’ perception, the CoO effect creates images of a certain country which can be characterized as stereotypic (Lotz & Hu, 2001). As the CoO effect can influence the behavior on different levels, Obermiller and Spangenberg (1989) identified three levels of processing the information about the CoO: cognitive, affective and normative. First, the cognitive process describes how the consumers’ knowledge on the product origin targets the unconscious perception of the product’s quality. In other words, the product origin is the key figure of a product’s perceived quality. Second, the affective process explains the consumers’ symbolic and emotional attitude towards the CoO and its products. A consumer’s attitude towards a specific country and its products can be influenced by their feelings towards this country. Third, the normative process reveals the consumers personal and social norms and values towards a specific country. For example, a consumer can refuse to purchase a country’s product in terms of human rights abuses in this particular country (Obermiller & Spangenberg, 1989). Based on this research, Verlegh and Steenkamp (1999) argued that the three processes do not operate on their own but interact with each other making the overall process of CoO effect more complex and individual (Verlegh & Steenkamp, 1999). The impact of CoO can be found on different levels. Scholzen (2001) noticed that most of the CoO research concentrated on the product quality, preferences and attitude and behavioral intention. Also, the product evaluation and the purchasing decision processes depend on a country’s set of characteristics, like culture and the geographic distance between the home and the host country, level of economic development and political conditions (Scholzen, 2001). The information about the CoO is even more crucial when there is a significant difference between the home and the host countries’ perceived product quality (Haubl, 1995). The overlap of perceived product quality and a country stereotype can be demonstrated by the stereotype of Germany which is primarily perceived as functional. For example, foreign consumers could prefer German cars because of the country’s high technological and economic level (Verlegh & Steenkamp, 1999; Jaffe & Nebenzahl, 2006). The study of Herz and Diamantopoulos (2013) points out that functional stereotypes have a strong impact on the cognitive process of product evaluation, whereas emotional country stereotypes have a higher impact on the affective process. Interestingly, they also demonstrate that the mere presence of the CoO triggers the consumer’s mind full of stored stereotypes and leads to a certain evaluation and usage behavior (Herz & Diamantopoulos, 2013). 1 TRA and TBP are theories that describe individual decision based on implicit associations and attitudes of a person. For further reading: Ajzen & Fishbein, 1980, 1985.